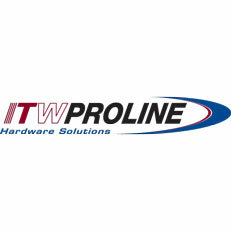 ITW Proline is Australia\'s leading supplier of fasteners and hardware to retail customers. Our products (over 6000 items) and services are distributed exclusively through retail hardware outlets and mass merchants. The largest part of ITW is its activities in the construction market with 66 autonomous building products businesses providing products and services for the retail, commercial, new housing and extension/renovation sectors. ITW Proline has become a leader in the hardware industry through the philosophy that customer service comes first and company profits second. In particular this means that nothing is more important than the delivery of orders in full and on time. To this end, we invest heavily in training people, in-store support and marketing services, our customer service operations and distribution network.